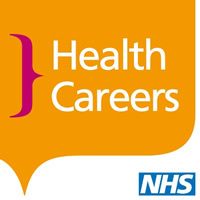 Health Careers, run by Health Education England, offers careers information and advice for those wanting to make a difference with a career in health through a range of channels including a website, helpline and a suite of careers literature and other resources. It also runs the Step into the NHS website and annual national schools competition. Make a difference with a career in health! Did you know there are around 350 roles to choose from in health? Health Careers supports careers advisers, NHS organisations, schools and colleges with a range of resources and tools, such as a career mapper, videos, and a course finder to help you and your students with making crucial career choices. Explore the roles in health to find out which career best matches your students’ skills, qualifications and interests. For a more comprehensive quiz, why not try our new Find your health career tool on the main Health Careers website with more than 100 questions? Your students and clients can save their results to a Health Careers account. You can also order copies of our literature by calling us on 0345 60 60 655, or you can download them from our website. Don’t forget to register with the Health Careers website and sign up to the mailing lists to keep up to date with the latest career developments in health.